The attacks came after the Nigerian military announced Friday that it had cleared all major centers in the northeast from militants. 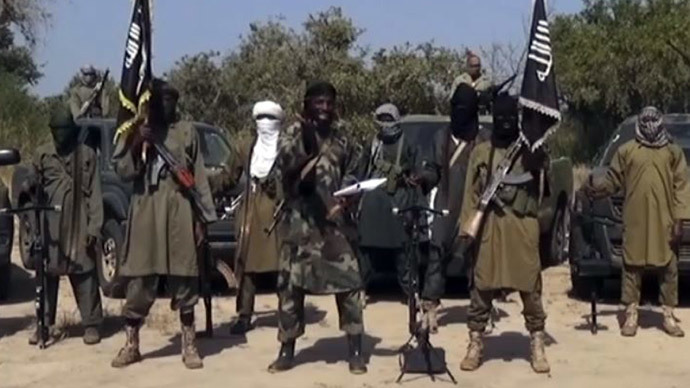 They also coincide with the country's presidential election, which Boko Haram had vowed to derail. The elections had been delayed due to a sharp increase in violence in the country, where 20 regions were controlled by Boko Haram extremists at the beginning of the year. On March 17, Nigeria’s army managed to regain control over large swathes of the country's northeast, making further progress in recent days. Niger-Chad forces assisted in freeing parts of Nigeria's border areas. Last April, nearly 300 schoolgirls were abducted by Boko Haram in the town of Chibok, which caused international outrage and attracted global attention to the group's six-year insurgency.